There are many interesting places to discover in Sweden. Here you'll find four different routes to explore different parts of the country. The routes are created by Hymer together with SCR Svensk Camping. We describe which areas you travel through, and show which campsites you'll find along the way. Then it's up to you to choose the campsites that best match your interests and expectations. We also give you examples of what is worth seeing along the way. Have a nice trip! A varied route from the coastal areas of Skåne to the holiday island of Öland and then through the many forest and lakes in Småland back to the west coast of Skåne. Highlights are the Kingdom of Crystal and Ystad, the hometown of inspector Kurt Wallander. A trip along the west coast and around Lake Vänern with highlights like Gothenburg and picturesque fishing villages. A delightful route from Gothenburg on the west coast to Stockholm on the east coast and back again. 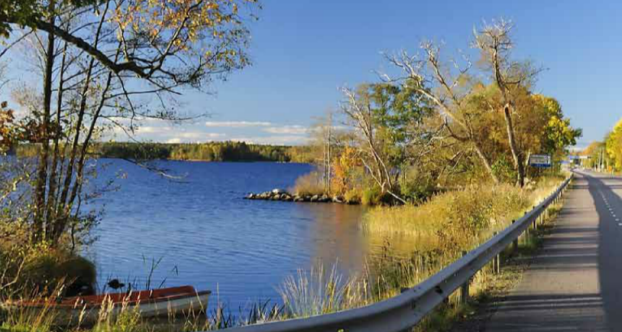 This trip has highlights like the Göta Canal and Sweden’s two largest lakes Vänern and Vättern. A round trip through Central and Northern Sweden with highlights like the Gulf of Bothnia and Swedish Lapland.